Little, Brown and Company, 9780316393171, 256pp. 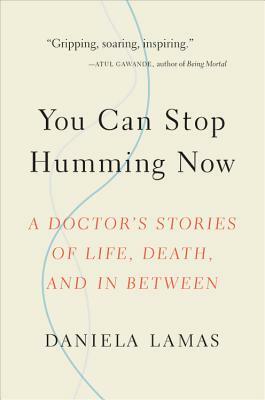 In You Can Stop Humming Now, Lamas explores the complex answers to this question through intimate accounts of patients and their families. A grandfather whose failing heart has been replaced by a battery-operated pump; a salesman who found himself a kidney donor on social media; a college student who survived a near fatal overdose and returned home, alive but not the same; and a young woman navigating an adulthood she never thought she'd live to see -- these moving narratives paint a detailed picture of the fragile border between sickness and health. Daniela Lamas is a pulmonary and critical care doctor at the Brigham & Women's Hospital and faculty at Harvard Medical School. Following graduation from Harvard College, she went on to earn her MD at Columbia University College of Physicians & Surgeons, where she also completed internship and residency. She then returned to Boston for her subspecialty fellowship. She has worked as a medical reporter at the Miami Herald and is frequently published in the New York Times. This is her first book.